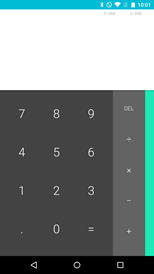 We missed one good new feature - you can now just tap and drag your finger in the result field to adjust how many decimals the answer will be calculated to. That's awesome. 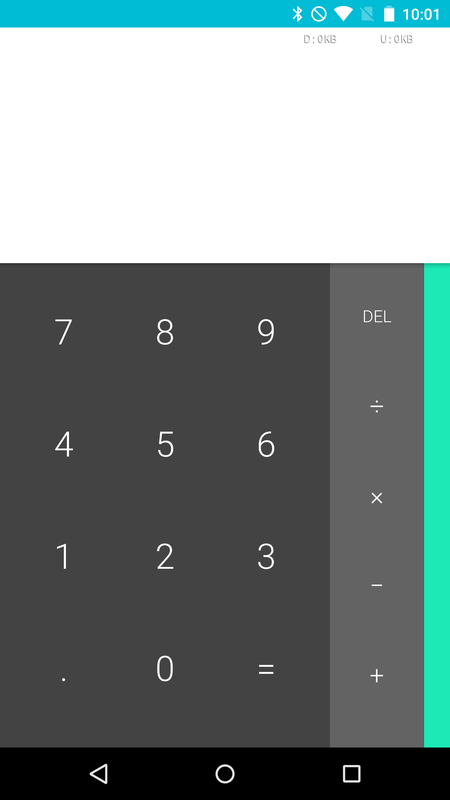 While the calculator in Android M may not look that much different on first inspection, it's actually almost completely new. 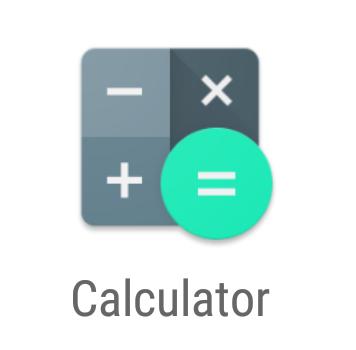 According to several responses from Googlers on the Android issue tracker, a host of bugs and problems with the old calculator app should be solved in Android M. And, and: new features! And before you say so, yep: it looks basically the same. But things have changed substantially (for the better) under the hood. First, let's talk bugs. 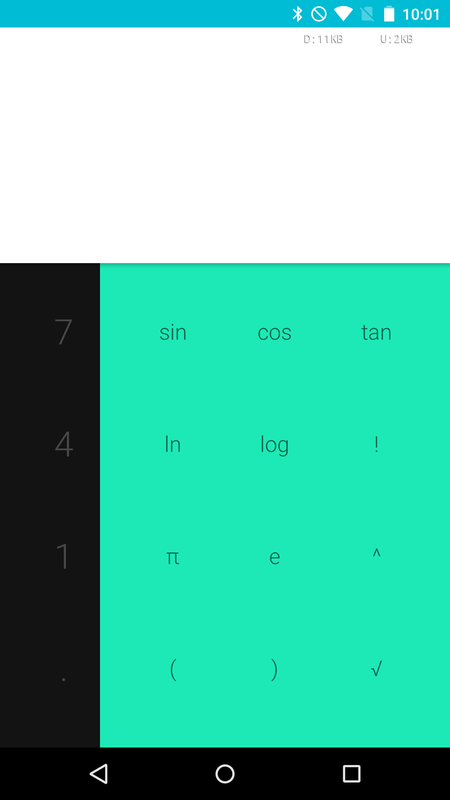 The old calculator used floating point arithmetic to do calculations, and if you're familiar with computer math, you know that floating point isn't ideal in terms of accuracy depending on how it's implemented. 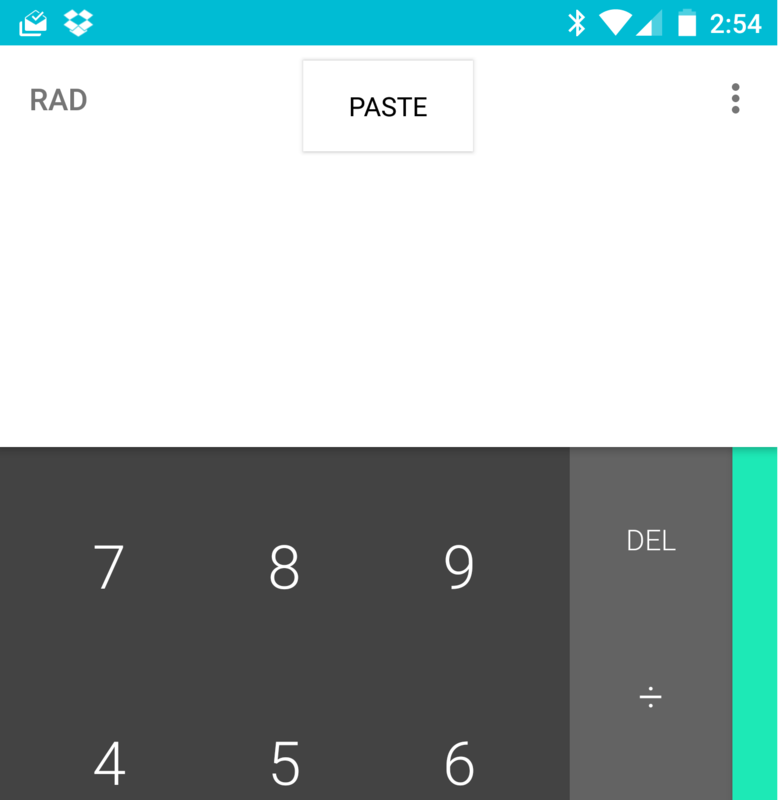 Things can get lost in translation when decimals and very small or very large values come into play, and there are a host of acknowledged issues with the old Lollipop calculator app simply doing bad math. 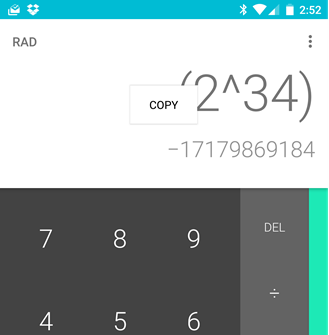 For example, if you calculate 2^34 in Android L or prior on the stock calculator and, after the result displays, then subtract 2^34, you get 816. This is obviously... not right (and yes, the answer should be zero). 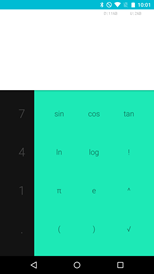 There are a host of similar issues with things like repeating decimals appearing when they shouldn't have, and a fair bit of general weirdness. The new calculator no longer uses floating point and has had much of its code base replaced, so a lot of these strange bugs should simply go away now. As for new features, there are a few worth pointing out. 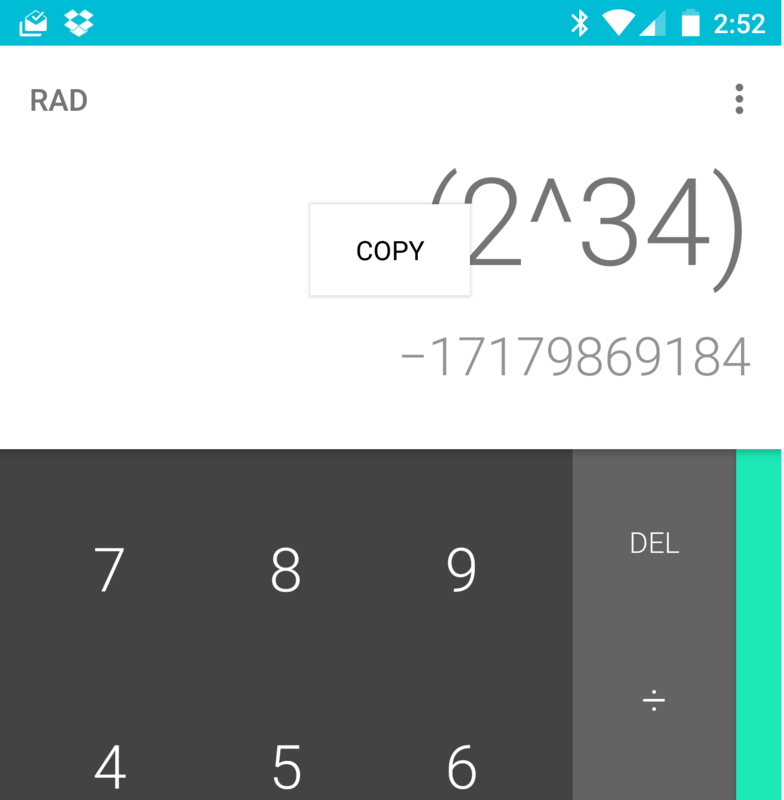 First, you can now copy results from the calculator! 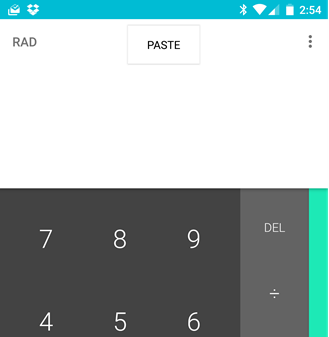 Second, you can paste into the calculator. This is, of course, quite handy. Copying from the input field is apparently under investigation, but Google says it'll be tricky, so it may happen or it may not. To copy or paste, just long press on the relevant field. The stock calculator also now has DEG and RAD modes if you want to get down with a little trigonometry. New functions include inverse sine, cosine, and tangent. From left to right: Android 5.0, Android 5.0, Android "M," Android "M"
If you want to check it out, you'll need to be running the M preview - the apk in the preview builds is odexed, so it can't be installed on other devices at this point.